From nautical galas in the 30s to urban art in the 90s, Molitor by MGallery has always been an incredible venue. In May 2014, it saw a new lease of life while retaining its original architecture and spirit: POOL, ART, LIFE! Discover the 124 rooms and suites by MGallery Collection, all decorated in an understated and pure style. 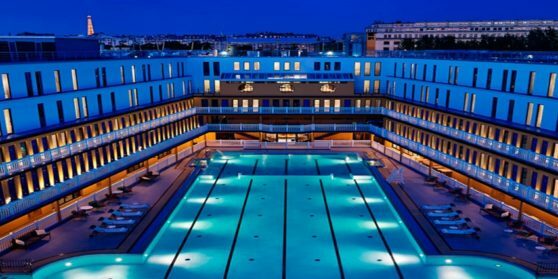 Relax in the Spa by Clarins or swim in the winter pool, share a cocktail on the roof terrace or meet in the restaurant designed by Yannick Alléno… Relax: you’re at MOLITOR.